As I look forward to another New Year, here are the top 10 favorite posts that I wrote for Common Sense Family Doctor in 2014. Best wishes to all for a great start to 2015! In addition to providing superior service, solo physicians or small groups can create their own economies of scale by pooling resources and collaborating with other practices in areas such electronic health record systems and quality improvement. Will newly formed alliances of clinicians and hospitals succeed in organizing themselves to provide accountable care that improves population health outcomes? In other words, is this seemingly inexorable movement toward a brave new health system forward progress, or a temporary dislocation? The good news is that family physicians are diversifying; the bad news is that Black and Latino physicians still have a long way to go to "catch up" to their numbers in the population. America's need for the next generation of diverse family physicians has never been greater. Think twice before reflexively doing things to elderly patients that can't possibly help and, therefore, can only hurt. And keep in mind that electronic clinical decision support should never, ever substitute for a physician's brain. 71 percent of maternity care providers would recommend bed rest to patients with arrested preterm labor, and 87 percent would advise bed rest for patients with preterm premature rupture of membranes at 26 weeks gestation, even though most of them did not believe it would make make any difference in the outcome. Like many doctors, I have complicated feelings about prescribing for chronic pain. On one hand, I recognize that relieving pain has been a core responsibility of the medical profession for ages. On the other hand, deaths and emergency room visits from overdoses of prescription painkillers have skyrocketed over the past 25 years. I have come to realize that some of my patients will not be able to fully address their chronic health issues until they have roofs over their heads and the stability and security that comes with having a place to call home. All of us involved in confronting cancer in all its forms - specialist and primary care clinicians, advocates, patients, family and loved ones - know cancer in different ways, and none should be held up as inherently superior to any other. Perhaps these electronic exercises collectively known as meaningful use will someday improve care and outcomes. Until then, I know it's only a matter of time before I read a personal essay from an earnest medical school applicant who once aspired to be a professional coder but decided he could have his nonsensical documentation requirements and treat patients, too. What should doctors do at well-child visits? As a family physician who provides care to children, and as a father of four ranging in age from 7 months to 8 years, I have a professional and personal interest in the content of well-child visits beyond childhood immunizations. Not only can health maintenance and counseling vary from practice to practice, previous reviews have found large gaps in the evidence to support preventive services recommended by government health agencies and medical groups. Also, clinicians who compare the Bright Futures / American Academy of Pediatrics "Recommendations for Preventive Pediatric Health Care" to the clinical recommendations for children published by the American Academy of Family Physicians (AAFP) will find that groups sometimes disagree about which services should be offered at well-child visits. Time is a precious clinical resource. Clinicians who spend time delivering unproven or ineffective interventions at health maintenance visits risk “crowding out” effective services. For example, a national survey of family and internal medicine physicians regarding adult well-male examination practices found that physicians spent an average of five minutes discussing prostate-specific antigen screening, but one minute or less each on nutrition and smoking cessation counseling. Similarly, family physicians have limited time at well-child visits and therefore should prioritize preventive services that have strong evidence of net benefit. I am a child of immigrants. 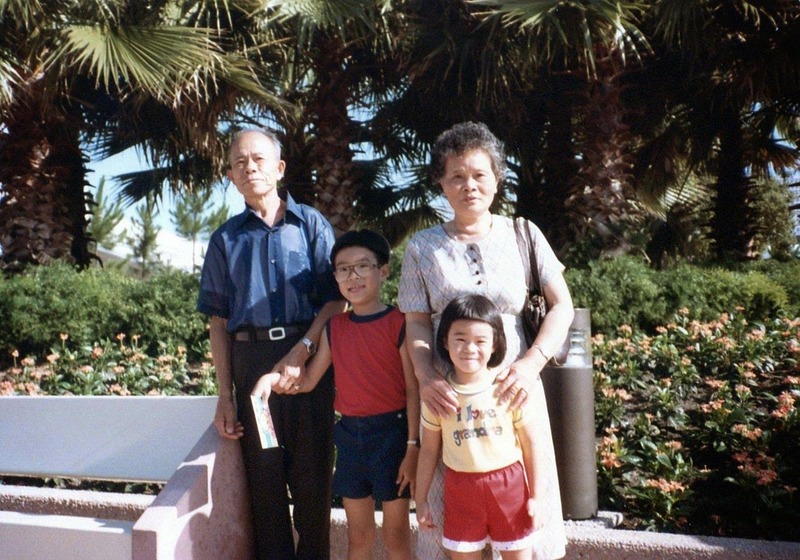 My parents migrated from Taiwan to the United States in the 1950s and 1960s, my father as a graduate student and my mother as a toddler, at that time the youngest member of a family of seven. Both eventually became naturalized citizens. The ship my mother's family took from China to the U.S. 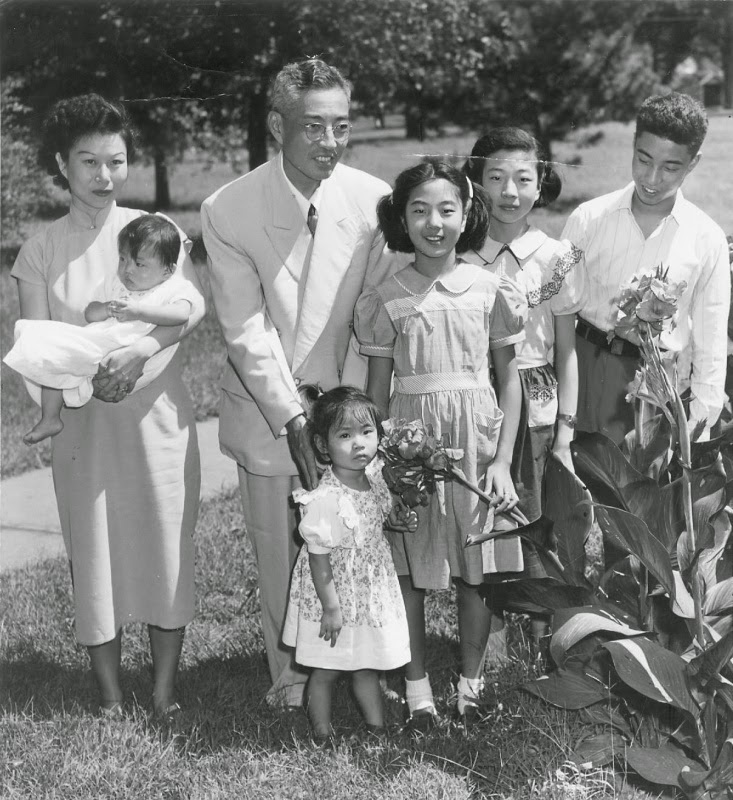 It is much more difficult to immigrate legally to the U.S. today. Current policies overwhelmingly emphasize family re-unification, reserving two-thirds of "green cards" to persons who already have relatives residing in the U.S. Millions of highly skilled potential immigrants like my parents and grandparents - my father eventually programmed the Hubble Space Telescope, and my mother's father was a neurologist whose biography appeared in the 9th edition of Who's Who in the World - now compete for a comparatively small number of resident permits. Most must wait for years; many lose hope and return their talents to their native countries. As former Florida governor Jeb Bush wrote about the U.S.-Mexican border crisis earlier this year, "A chief reason so many people are entering through the back door, so to speak, is that the front door is shut." My mother's family in 1950. The baby is my mother. Those of us on the front lines of community medicine continue to struggle daily with the challenges that this vastly complex and heterogeneous population brings, and we look forward to others sharing best practices to care for and foster resiliency in these children. For now, physicians caring for unaccompanied minors need to begin developing office protocols and medical evaluations that fit with state laws and financial realities while working to engage these children and keep them out of the shadows. The ethical obligation to train the best potential workforce pulled from all of the best candidates intersects with the social justice value that requires medical schools to form physicians who have the capacity and skills, including cultural awareness and competence, to provide all patients with high-quality, compassionate care. ... Dreamer students represent a very valuable resource in achieving the diversity necessary to meet the health care needs of contemporary U.S. society. Neither a porous southern border nor a too-narrow pathway to legal residency will benefit the U.S. in the long run. At least 10 million undocumented persons already live in the U.S., often doing jobs that citizens don't want, from child care to cleaning homes to construction. The idea that our country could somehow deport all of them is more of a fantasy than President Abraham Lincoln's early Civil War notion of resettling all 4 million African American slaves in a foreign land instead of granting them citizenship. Me and my sister with my father's parents in the early 1980s. Immigration policy is complicated, no doubt, and one might ask what fixing it has to do with medicine. Here are a few ways maintaining the immigration status quo harms health and health care in the U.S. There are millions more people to care for, and few options for them to access care in continuous, cost-effective ways. Loyola University Chicago aside, the best and brightest undocumented immigrants who arrived in the U.S. as children face huge obstacles to becoming part of the diverse health care workforce that America desperately needs. And the "front door" of U.S. immigration remains, for all practical purposes, firmly closed to foreign-born persons with aspirations similar to those my own parents had half a century ago. Shortly after we moved to Washington, DC ten years ago, my wife and I purchased a basic home security system, the kind with a programmable keypad, multiple door alarms and a motion sensor. The alarm has sounded about a dozen times since then. None of these times was a burglary actually in progress. On several particularly windy days, one of us forgot to lock the back door after leaving, and it blew open. Two or three other times, departing early for work, I accidentally hit "Away" on the keypad (arming the motion detector at the foot of the stairs) rather than "Stay," causing the klaxon to sound when my unsuspecting son or visiting mother-in-law came down the stairs later in the morning. We've also set off the fire alarm a few times while cooking. Although our security system cost little to purchase, we've spent well over $4000 in monitoring fees, a sum that could easily surpass the value of what we might lose in an actual burglary. There are, of course, intangible benefits to having a home security system - peace of mind being the most important. But our peace of mind has been achieved at the substantial cost of temporarily diverting multiple municipal police and fire units, disturbing our neighbors, receiving inconvenient cellular phone calls from the monitoring company, and briefly traumatizing my 5 year-old son on his way to breakfast. All things considered, it's hard to argue that the benefits of this preventive measure have outweighed its cumulative harms. No doubt these routine examinations and tests (if normal), like my home security system, give patients peace of mind. And if patients had clear-eyed expectations of the small potential benefits of screening and preventive treatments, I would have no problem with continuing to do them. Unfortunately, a 2012 study in the Annals of Family Medicine showed that patients greatly overestimate the benefits of preventive interventions that primary care physicians commonly provide: breast cancer screening, colorectal cancer screening, and medications to prevent hip fractures and cardiovascular disease. In most cases, patients' "minimum acceptable benefit" (the lowest level of benefit that in their mind was required to justify the preventive intervention) far exceeded the actual benefit of the service established in randomized trials. Further, this study considered only the benefits of these services, and not the false alarms, which occur in more than 60 percent of women receiving annual mammography after 10 years. This post first appeared on Common Sense Family Doctor on December 22, 2012. The Department of Family Medicine at Georgetown University School of Medicine is currently recruiting qualified applicants for its one-year fellowship in Primary Care Health Policy. This is a unique, full-time program that combines experiences in scholarly research, faculty development, clinical practice, and coursework at the McCourt School of Public Policy. Fellows have the opportunity to interact with local and federal policymakers in Washington, D.C. and conduct health services research projects with experienced mentors at the Robert Graham Center for Policy Studies in Family Medicine and Primary Care. They will join a dynamic group of faculty (including me) at one of the flagship departments for urban family medicine on the East Coast. Past Robert L. Phillips, Jr. Health Policy Fellows hold leadership positions in federal health agencies, community health organizations, and academic institutions. Applicants should be graduates of an accredited residency program in Family Medicine or Internal Medicine or expect to graduate in 2015. Please contact me at Kenneth.Lin@georgetown.edu for more information. Over-the-counter birth control need not be an evidence-free debate. Regardless of where you stand on this issue personally or politically, it's time to stop with the slogans and inform the discussion with science. At least one-third of common physical symptoms evaluated in primary care are "medically unexplained," meaning that they are never connected to a disease-based diagnosis after an appropriate history, physical examination, and testing. An understanding of patients’ care goals in the context of a serious illness is an essential element of high-quality care, allowing clinicians to align the care provided with what is most important to the patient. Early discussions about goals of care are associated with better quality of life, reduced use of nonbeneficial medical care near death, enhanced goal-consistent care, positive family outcomes, and reduced costs. Existing evidence does not support the commonly held belief that communication about end-of-life issues increases patient distress. What clinical situations should trigger discussions about end-of-life preferences? The authors recommended making time for a conversation in the setting of worsening symptoms or frequent hospitalizations in patients with COPD, congestive heart failure, and end-stage renal disease; in all patients with non-small cell lung cancer, pancreatic cancer, and glioblastoma; in patients older than 70 years with acute myelogenous leukemia; in patients receiving third-line chemotherapy; and in hospitalized patients older than 80 years. The ePrognosis website offers useful tools for clinicians to estimate prognoses in older persons with serious illnesses. According to the ACP, key elements to address in these conversations include understanding of prognosis; decision making and information preferences; prognostic disclosure; patient goals; patient fears; acceptable function; trade-offs; and family involvement. Additional guidance for discussing end-of-life care and eliciting patient preferences has been published in American Family Physician and Family Practice Management. At last month's Family Medicine Education Consortium Northeast Region Meeting, one of my residents presented some research that she had completed under my supervision. Since I left the staff of the U.S. Preventive Services Task Force four years ago, it has been my sense that the Task Force has substantially lowered its evidence "bar" for recommending a preventive service, an impression confirmed in private discussions with colleagues who closely follow the group's activities. In a JAMA editorial published last year, Drs. Steven Woolf and Doug Campos-Outcalt expressed concerns that the Affordable Care Act, by requiring insurers to fully pay for grade "A" and "B" recommended services, would lead to political pressure on the USPSTF to produce more of these favorable recommendations. My resident and I hypothesized that if this concern turned out to be correct, we would find that a higher proportion of recommendation statements - both new and updated - published in 2011 or later would be grade "A" or "B" rather than "C," "D," or "I." After reviewing the Task Force's portfolio of active recommendations, she concluded that this is absolutely the case. Of course, not being able to attend the meetings or review their minutes (which are unavailable to the public), we could only demonstrate an association, not causation. Another plausible explanation is that research progress over the past several years has produced more evidence and effective interventions to support providing services which weren't recommended before (e.g., lung cancer screening with CT scans, screening for hepatitis C). That's unlikely to be the whole story, though, since the TF would have generated more new "D" (don't do it) recommendations too, which hasn't happened. Politics aside, the other problem with linking USPSTF decisions to "free" preventive services is that a group that adamantly does not consider cost in assessing the value of a preventive service increases the cost of health care (and health insurance premiums) every time it makes a favorable decision. Dr. Woolf has argued that effective prevention doesn't have to be cost-saving, only cost-effective, and the vast majority of immunizations and recommended screenings meet this criterion. Even CT screening for lung cancer, according to a recent study, would cost $81,000 per quality-adjusted life year (QALY) gained, if appropriately implemented in a high-risk population similar to that in the National Lung Screening Trial. But cost-effective services can still end up being terrifically expensive. If the estimated 9 million eligible Americans receive "free" annual low-dose CT scans recommended by the USPSTF at $300 per scan, that's $2.7 billion added to the national health care bill each year - and this doesn't count the costs of all of the follow-up CT scans for abnormalities, consultations, biopsies, and treatments that will ensue. If birth cohort screening finds 2 million previously unidentified adults with hepatitis C who subsequently take the new drug sofosbuvir (Sovaldi) at $84,000 per treatment course, it will cost $168 billion to pay for this drug alone, not counting other medications or costs of care. Even if paying for these screening tests will ultimately provide health benefits to many (though I have qualms about the evidence for both), they will also make health insurance premiums a little less affordable, and it's nobody's job to decide if the benefits are worth the added costs to the population. In an article in Health Affairs, Dr. Mark Pauly and colleagues argue that complete pooling of risk is justifiable only for preventive services that are highly cost-effective. They propose continuing full coverage for the most cost-effective services, increasing patient cost-sharing for less cost-effective services, and discouraging coverage of services that are not cost-effective according to a societally-determined threshold (they suggest $400,000 per QALY). Plenty of public health and health equity arguments could be made against this proposal, but what I like about it is that it sees the forest for the trees. Not matter how equally we distribute them (and the U.S. does a poorer job at this than most countries), health care resources are limited, and money spent on marginally effective services is money that's not being spent on countless other things that promote health and make life worth living. It's simply not enough to promote evidence-based preventive care by making all of it "free," regardless of the true costs. Shared decision-making for lung cancer screening: will it work? Earlier this month, the Centers for Medicare & Medicaid Services (CMS) officially proposed coverage for annual low-dose computed tomography (LDCT) screening for lung cancer in current or former smokers age 55 to 74 years with at least a 30 pack-year history. In doing so, CMS followed the lead of the U.S. Preventive Services Task Force, which had previously given a "B" grade recommendation for screening in a similar population through age 80 years. In the November 1st American Family Physician cover article, Dr. Thomas Gates reviewed concepts and controversies in cancer screening. Dr. Gates observed that in the 1960s and 1970s, physicians were misled by lead-time and length-time bias into believing that screening smokers for lung cancer with chest radiography saved lives, when in fact, it did not. He also noted that although LDCT screening has reduced lung cancer and all-cause mortality in a randomized controlled trial, adverse effects include a high false-positive rate, uncertain harms from radiation exposure, and overdiagnosis (leading to potentially unnecessary treatment). For these reasons, the American Academy of Family Physicians decided not to endorse the USPSTF recommendation. In an editorial published earlier this year, AFP Contributing Editor Dean Seehusen, MD, MPH elaborated on arguments against routine LDCT screening. Perhaps the most important issue with low-dose CT screening is that it is a costly, high-tech response to what is essentially a behavioral and lifestyle problem. Smoking is responsible for 85% of lung cancers; convincing persons to quit smoking (or to not start) is far more effective in preventing lung cancer deaths than low-dose CT screening. Shared decision-making is increasingly recommended by screening guidelines, but I worry that these difficult discussions may not actually take place, even if family physicians are paid to initiate them with patients eligible for LDCT screening. Will clinicians merely go through the motions and just order the test, as happened with prostate-specific antigen testing for prostate cancer and screening mammography for women in their 40s? What do you think? Since I began blogging at Common Sense Family Doctor in July 2009, its posts have been featured in widely read blogs such as KevinMD.com, The Doctor Weighs In, The Health Care Blog, and Gary Schwitzer's HealthNewsReview, and the websites of major national health and news outlets such as Proto Magazine, the Costco Connection, the New York Times, the Wall Street Journal, USA Today, and the Boston Globe. I also wrote the consumer health blog Healthcare Headaches for U.S. News and World Report from August 2010 through September 2011. Like the vast majority of physicians who blog, I write in my spare time. I have never accepted advertising or paid web links on Common Sense Family Doctor, and the choices of topics for posts are my own and not influenced by financial or other conflicts of interest. In order to support the time I devote to blogging, and to encourage high-quality medical writing and clinical practice, I give lectures and workshops to medical and non-medical audiences on a variety of topics. These include the uses of social media tools in medicine and education, developing and implementing medical guidelines, and the evidence supporting specific prevention recommendations. If you or your organization would like to invite me to speak, please e-mail me at linkenny@hotmail.com or Kenneth.Lin@georgetown.edu. Screening for Diabetes: What Does the Evidence Say? Every year, a medical school course that I teach invites two speakers to tell students their compelling stories about how being homeless negatively affected their health. Conversely, I care for patients whose declining health led to homelessness because they were unable to work and fell too far behind on mortgage or rent payments. The American Academy of Family Physicians and other professional societies, such as the American College of Obstetricians and Gynecologists, encourage their members to provide compassionate and unbiased care to homeless persons, and a recent article in American Family Physician reviewed strategies for managing clinical conditions that commonly occur in this population. Placing people who are homeless in supportive housing — affordable housing paired with supportive services such as on-site case management and referrals to community-based services — can lead to improved health, reduced hospital use, and decreased health care costs, especially when frequent users of health services are targeted. New York health officials hope that much of its investment will pay for itself by reducing acute and emergency care visits, but so far has been unable to convince the Centers for Medicare and Medicaid Services (which only pays for nursing homes through Medicaid) to make a similar investment. Despite a lack of federal support, this "Housing First" approach has been successful in other states too, notably Utah, as James Surowiecki recently described in The New Yorker. Like it because it's the decent thing to do, because it saves money, or both, Housing First has garnered support across the political spectrum. Our system has a fundamental bias toward dealing with problems only after they happen, rather than spending up front to prevent their happening in the first place. We spend much more on disaster relief than on disaster preparedness. And we spend enormous sums on treating and curing disease and chronic illness, while underinvesting in primary care and prevention. This is obviously costly in human terms. But it’s expensive in dollar terms, too. The success of Housing First points to a new way of thinking about social programs: what looks like a giveaway may actually be a really wise investment. As outlined in a 2012 ACOG opinion paper, the rationale for granting over-the-counter status to birth control pills goes something like this: unintended pregnancies are common; visiting a doctor for a prescription is inconvenient and unnecessary; oral contraceptives are safer than many medications already available without a prescription; women can screen themselves for contraindications; and women wouldn't stop seeing doctors for other preventive services. There are, however, very few studies that actually support these arguments; much of the literature simply surveys what other countries do regarding contraceptive access and assumes that outcomes are better (or at least not worse). And surprisingly, there's no research whatsoever that shows making oral contraceptives over-the-counter reduces unintended pregnancies. This hypothesis would be relatively straightfoward to test in a randomized clinical trial. Enroll, say, five hundred non-pregnant, sexually active, pre-menopausal women without contraindications to oral contraceptives who don't want to become pregnant in the next 12 months. Randomly assign half of them to receive birth control pills without a prescription at a convenient pharmacy, and assign the other half to obtain contraceptives the usual way, by requesting a prescription from their family doctor or gynecologist. After a year, compare the numbers of unintended pregnancies and adverse events (deep venous thromboses, strokes, sexually transmitted infections) in each group. Other outcomes could include contraceptive adherence, appropriate use, and use of recommended preventive health care such as immunizations and screenings. Why hasn't this study been performed already? Some physicians have told me that this question doesn't need to be studied because it's obvious that over-the-counter access to contraceptives would lead to fewer pregnancies. Others have insinuated that even asking the question is "anti-woman" and insensitive to the long history of gender bias in health and men using fertility to control and oppress women. I say bull. This isn't only a political question, it's also a scientific one. Otherwise, why stop at putting oral contraceptives over the counter? Why not, for example, make it easier for millions of women and men with poorly controlled ("unintended") high blood pressure to treat themselves by making anti-hypertensive drugs over-the-counter? In fact, self-monitoring and self-titration of blood pressure medications is a strategy that is being seriously considered in high-risk populations. A recent randomized trial published in JAMA compared this strategy to usual care in five hundred primary care patients with hypertension and a history of stroke, coronary heart disease, diabetes, or chronic kidney disease. After 12 months, the mean blood systolic blood pressure of the intervention group was 9 points lower than that of the control group, with no difference in adverse events. The outcome of the hypertension study wasn't obvious. It might easily have gone the other way. And for that reason, it was a question that deserved to be rigorously studied. Similarly, over-the-counter birth control need not be an evidence-free debate. Regardless of where you stand on this issue personally or politically, it's time to stop with the slogans and inform the discussion with science. Not long ago, I was sitting in my office catching up on some electronic charting when I began to feel chilly, achy, and weak. I went home, skipped dinner, and went straight to bed. Although I felt mostly better the next morning, my appetite didn't fully return until later in the day. My self-diagnosis was a probable viral infection. But the truth was that I had no idea if my symptoms were related to any kind of disease. Medical education trains physicians to approach patients' symptoms foremost as manifestations of an underlying cause. Only "treating the symptoms," in contrast, can often feel like a sort of failure. But as Dr. Kurt Kroenke reported in a narrative review published in the Annals of Internal Medicine, at least one-third of common physical symptoms evaluated in primary care (including pain, fatigue, dizziness, sleep disturbances, and gastrointestinal symptoms) are "medically unexplained," meaning that they are never connected to a disease-based diagnosis after an appropriate history, physical examination, and testing. The lack of a definitive explanation for many symptoms is further underscored by the use of adjectival modifiers indicating what a symptom is not ("noncardiac" chest pain or "nonulcer" dyspepsia) or implying causal explanations that are weakly defensible ("tension" headache, "mechanical" low back pain, or "irritable" bowel syndrome). Not only do some symptoms have no obvious causes, but others have multiple possible causes which may be unproductive to approach separately. For example, why does a patient with congestive heart failure, anemia and depression feel tired all the time? Also, symptoms usually occur in a group, rather than in isolation; for example, a classic symptom cluster in cancer patients is SPADE (sleep / pain / anxiety / depression / energy). Studies show that about a quarter of symptoms that present to primary care eventually become chronic. Fortunately, very few of these patients harbor a serious missed diagnosis such as an occult infection or cancer. As family physicians know, even if we are uncertain about if or when a particular symptom might improve, communication still has great therapeutic value. "Is this normal, doctor?" is the question I hear most frequently from my patients who have persistent symptoms without diagnoses. I usually respond that there is a wide range of "normal," and what's more important to me is working with him or her to make these particular symptoms more manageable. Last week was a busy one: I presented at the American Academy of Family Physicians Assembly (on lung cancer) and the Family Medicine Education Consortium Northeast Region Meeting (on prevention politics); participated in a Lown Institute-sponsored meeting on improving community care for patients with chronic and complex health conditions; and attended a ceremony recognizing the accomplishments of this year's Pisacano Leadership Foundation scholars. Meanwhile, the collection of articles that I keep as fodder for this blog continued to grow. Here, in no particular order, are some reflections on recent publications that illustrate how providing too much medicine inflates costs, wastes health care resources, and ultimately harms patients. Cardiac catheterization can be a life-saving procedure for patients in the throes of a heart attack, but it doesn't help persons without cardiac symptoms or improve outcomes in patients with stable angina. So why is this procedure performed so often on these patients? A study in JAMA Internal Medicine qualitatively analyzed discussions about the benefits and risks of coronary angiography and percutaneous coronary interventions (PCI) between cardiologists and patients with stable coronary artery disease. Cardiologists were far more likely to exaggerate the benefits of angiography and PCI than to accurately state that compared to medical management, PCI can reduce anginal symptoms but does not lower patients' risk of death or myocardial infarction. Another study in the same journal evaluated data from a national registry of 544 hospitals that performed PCI between 2009 and 2013. One in four patients who underwent elective angiography reported no symptoms (range, 1 to 74 percent). In addition, hospitals that did more angiograms on asymptomatic patients were also more likely to perform PCI for inappropriate reasons. See it, stent it? One of the patient-centered medical home criteria that my clinical practice was recently tagged as being deficient on is screening adults and adolescents for depression: we weren't doing enough of it. Although routine screening is recommended by the U.S. Preventive Services Task Force, others, including the Canadian Task Force, have concluded that the evidence doesn't support this position. How could screening for depression possibly be harmful? By leading to overtreatment of persons with few depressive symptoms. A study in the Journal of the American Board of Family Medicine found support for this hypothesis by analyzing data from a randomized trial of depression interventions at primary care practices in California. They found that administration of the 9-item Patient Health Questionnaire (PHQ-9), a commonly used screening tool, was associated with 3 times the odds of making a depression diagnosis and 4 times the odds of antidepressant prescribing for persons who, based on their low PHQ-9 scores, were extremely unlikely to have major depression or benefit from medication. Overdiagnosis and overtreatment affect patients of all ages. In a commentary published in Pediatrics, several prominent academic pediatricians highlight a variety of childhood conditions that are commonly overdiagnosed, including attention deficit-hyperactivity disorder, food allergy, hypoxemia in bronchiolitis, and obstructive sleep apnea. For example, a randomized trial published in JAMA found that infants with mild bronchiolitis whose pulse oximetry measurements were artificially inflated by 3 percentage points were substantially less likely to be admitted to the hospital, but otherwise did just as well as infants in the control group. These findings suggest that emergency medicine physicians and pediatricians rely too much on oxygen saturation (not shown to increase risk of serious outcomes at 88 percent or higher) and too little on the overall clinical picture in making admission decisions. Looking at the end of life, a cross-sectional study in JAMA Internal Medicine found that more than half of nursing home residents with advanced dementia were receiving at least one medication with questionable (or zero) benefit, costing $816 per patient every 90 days, more than one-third of all prescription costs during the period of analysis. The most common inappropriate drugs were those for early Alzheimer's disease and cholesterol-lowering medications. These drugs don't improve the quality of life of patients with advanced dementia, but can make them feel worse through bothersome or serious side effects. In the late 1990s, the urban public hospital where I trained as a medical student had a single CT scanner. To ensure that this precious resource was put to effective use, any physician ordering a non-emergent CT scan was required to personally present the patient's case to the on-call Radiology fellow and explain how the result of the scan would potentially change management. Since my attending surgeons were usually too busy to trudge down to the Radiology suite, they deputized their residents to do so, and most of the time my residents passed this thankless task down to the students. Thus, my classmates and I learned early on the difference between appropriate and inappropriate reasons for ordering CT scans. Today, the widespread availability of CT scanners has made this sort of explicit rationing uncommon in the U.S. In fact, a 2011 editorial published in American Family Physician reviewed the accumulating evidence that CT scans are highly overused in medical practice, which puts patients at unnecessary risk of radiation-induced cancers and detection of incidental findings that can lead to overdiagnosis and overtreatment. Identifying overuse of CT scans often isn't easy, though. And some might argue that increasing use of CT scans may have the positive effect of improving diagnosis of common symptoms, allowing physicians to institute appropriate management of serious conditions more quickly. Family physicians Andrew Coco and David O'Gurek investigated this possibility in a research study published in the Journal of the American Board of Family Medicine. They analyzed data on common chest symptom-related emergency department visits from the National Hospital Ambulatory Medical Care Survey from 1997 to 1999 and 2005 to 2007. Unsurprisingly, the proportion of these visits in which a CT scan was performed rose from 2.1% to 11.5% during this time period. However, the proportion of visits that resulted in a clinically significant diagnosis (pulmonary embolism, acute coronary syndrome or MI, heart failure, pneumonia, pleural effusion) actually fell slightly, challenging that notion that increased CT utilization leads to improved detection and treatment of serious health conditions. 1. Use CT only when it is likely to enhance patient health or change clinical care. 2. When CT is necessary, apply the ALARA (as low as reasonably achievable) principle to radiation doses. 3. Inform patients of CT risks before imaging. 4. Monitor individual exposure over time and provide the information to patients. These general points can and should be applied to many other medical interventions, including screening tests and treatments. To paraphrase: Never do anything to a patient unless you think it may help. When an intervention is necessary, intervene as little as possible. Always inform patients of the risks of any intervention, and monitor their exposure to its harmful effects over time so that they can choose to opt out later, if desired. Choose wisely! This post first appeared on Common Sense Family Doctor on January 18, 2012. At a recent morning huddle, I noticed that the hanging file of emergency protocols at my practice nurse's station held a new folder, labeled "Ebola." That same day, a patient who had returned from West Africa was isolated at a nearby hospital for symptoms consistent with infection with the virus. I had been following news about the Ebola epidemic for months, since its re-emergence in Guinea, rapid spread to neighboring Nigeria and other parts of West Africa, through the critical illness and miraculous recovery of family physician Kent Brantly. But until that day, I hadn't actually confronted the question, "As a family physician, what do I need to know about this?" Many have pointed out that even though this is by far the largest and most lethal Ebola outbreak in history, it pales in importance next to more common and contagious viruses such as influenza or measles, or emerging infections closer to home, such as the enterovirus respiratory illness that has stricken children in 46 states. Family physician blogger Mike Sevilla expressed skepticism that patients who continue to decline influenza vaccines in droves would be willing to receive a vaccine against Ebola even if it could be produced quickly, and given our abysmal track record with pandemic flu vaccination, I tend to agree. What terrifies health professionals and laypersons about Ebola, despite its thus-far limited impact in the United States, is that so much about it is unknown. Clinicians are prepared to tackle influenza, a known quantity from past years. We don't know what to expect from Ebola, a nebulous threat to cause disaster at any time, like bioterrorism. Until more is known, family physicians should remember that fever in returning international travelers is far more likely to be due to malaria (which turned out to be the diagnosis of the hospitalized patient I mentioned earlier), and to always ask and communicate about recent travel, rather than depending on an electronic medical record to do it. "An honest economic forecast would have likely sunk Medicare"
"Don't let dead cats stand on your porch." This famous quotation, attributed to President Lyndon Johnson during his strenuous and ultimately successful efforts to pass the 1965 bills that established the Medicare and Medicaid programs, embodied his approach to arguably the most important U.S. health care legislation until the 2010 Affordable Care Act. 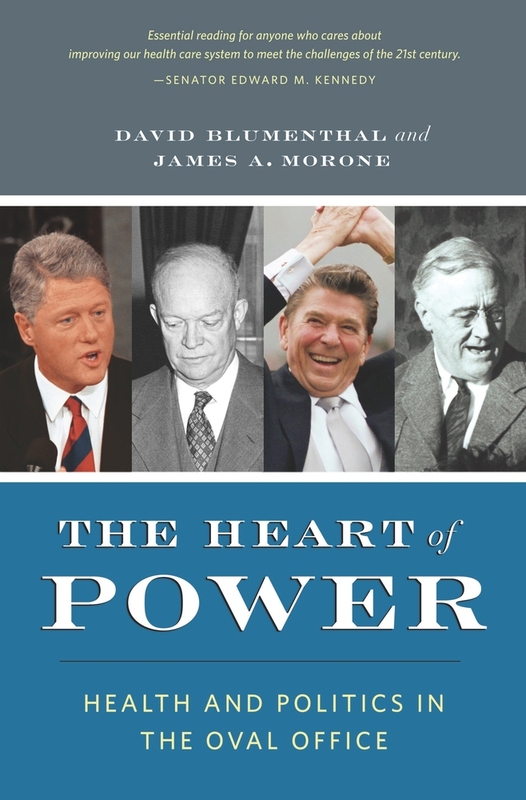 According to David Blumenthal and James Morone, authors of The Heart of Power, it meant that the best strategy for passing health care (and other potentially controversial) legislation was to act quickly and move bills along in the Congressional process before political opponents or outside advocacy groups had time to organize themselves. Remarkably, Medicare was fully implemented only 11 months after the bill's signing, overcoming obstacles such as hospital segregation in the South, resistance from physician organizations such as the American Medical Association, and the logistical issues involved in issuing insurance cards to 18 million eligible seniors. As Medicare approaches its 50th anniversary, it faces huge budgetary challenges driven by increasing costs of health care and the demographics of the enormous "Baby Boom" generation, the first member of whom became eligible for Medicare benefits in 2011. This short video produced by the Kaiser Family Foundation summarizes changes that occurred in the program in the intervening years. Liberal legislators saw Medicare as the first step toward enacting federally-administered universal health insurance for all Americans, while others saw it as a program, like health programs for active-duty military, veterans, and Native Americans, whose benefits were appropriately limited to specific groups and therefore must be defended against encroachment by future wide-ranging health reforms. Princeton professor Paul Starr has called this resistance to change by protected groups the "policy trap" that contributed to the defeat of the Clinton health reform proposal in 1994 and the near-defeat of the Affordable Care Act 16 years later. Is it true that "an honest economic forecast would have very likely sunk Medicare," as the authors argued? Like every federally financed health insurance initiative to come, Medicare ended up costing substantially more than initially projected. (In fact, the reason that most provisions of the ACA, passed in 2010, didn't take effect until this year was to allow the Congressional Budget Office - which didn't exist in 1965 - to artificially score it as deficit-reducing over a 10-year time period.) Ethical or not, Lyndon Johnson's decision to "lowball" the estimated costs of Medicare was essential to getting it through Congress. Was President Johnson - the last President to previously hold the position of Senate Majority Leader - a political anomaly, or can lessons from his deft management of the Congressional process be applied to national health care policy today? What do you think about Blumenthal and Marone's lessons for future Presidents, listed below? How well has President Obama adhered to these principles? 1. Presidents must be deeply committed to health reforms. 2. Speed is essential. Waiting makes reforms a lot harder to win. 3. Presidents should concentrate on creating political momentum. 4. Presidents must actively manage the Congressional process. 5. Know when to compromise and know when to push. 7. Muzzle your economists. First expansion, then cost control. An earlier version of this post first appeared on The Health Policy Exchange. Not long after the 2012 elections, I had an interesting conversation with my dad about the policy debates involving the Medicare program. Since he, along with my mother, is one of the two most important Medicare beneficiaries in my life, hearing his perspective was immensely valuable. Essentially, my dad said that what upset him when politicians described Medicare was the use of the term "entitlement," which implied that people like my parents who paid Medicare taxes for several decades don't deserve to reap the full benefits of that investment. I pointed out that the reason Medicare is running out of money is that the dollar value of health benefits that seniors use today far exceeds the amount they paid in to the system thirty, twenty, or even ten years ago, since Medicare only began to pay for prescription drugs in 2006 and annual increases in the cost of health care have far exceeded inflation. He countered that it was totally appropriate for retirees to get back more than they put in, since all good investors expect their money to grow over time. He's right. The problem with this argument isn't his fault: the federal government doesn't put revenue from Medicare payroll taxes into the stock market, a savings account, or even the "lockbox" that Al Gore made famous during the 2000 presidential campaign. It spends those dollars, immediately, often on programs that have nothing to do with health care for seniors. What we citizens cannot do is allow them to continue to point fingers at each other and, for purely political reasons, dodge the question of what to do. Which brings me to one of my pet peeves about health reform in general, and the Affordable Care Act in particular: the selling of reforms as good because they provide people who already have health insurance with more "free stuff." Thanks to the ACA / Congressional Democrats / President Obama, a typical political ad will say, women can now get free mammograms, Pap smears, cholesterol tests, and birth control pills! Isn't that great? This kind of ad is misleading because none of the preventive health services defined by the bill suddenly became free. In fact, some cost hundreds or even thousands of dollars. Instead, the costs of these services have just been shifted - into higher insurance premiums, higher deductibles for non-preventive services, to employers, or to the federal government (and therefore the individual taxpayer or an international investor that holds some portion of the U.S.'s $18 trillion national debt). The above discussion notwithstanding, Medicine and Social Justice blogger Josh Freeman made the very good point that health should generally not be considered a commodity, but a social good. I supported most provisions of the Affordable Care Act because its implementation will eventually allow millions more Americans to more reliably access health care, especially primary care, when they need it. As a family physician, I do not believe that any group of people "deserves" health care any more than others. My dad and mom deserve their health care. But so do I, so do my wife and kids, and so do you and your loved ones. And our country will never have an honest debate about health reform as a social good and a shared sacrifice if we let politicians of both parties, only concerned about the next election, portray it as a false choice between rationing and free stuff. This post first appeared on Common Sense Family Doctor on November 11, 2012. When I was in high school, a national hardware retailer opened a new franchise down the street from the mom-and-pop hardware store that had served my neighborhood for many years. Since the new store had the advantage of larger volumes and lower costs, it seemed to be only a matter of time before it drove its smaller competitor out of business, the way that big bookstore chains and fast-food restaurants had already vanquished theirs. But a funny thing happened on the way to the inevitable. By the time I left for college, the new hardware store had folded, and the mom-and-pop operation had moved into their former building. How did this small business manage to retain its customers and win new ones without prior loyalties? The answer was quality of service. I remember visiting both stores when a classmate and I were working on a physics project. At the mom-and-pop store, the owner himself happily held forth for several minutes on the advantages and disadvantages of various types of epoxy adhesive. At the national hardware chain, the staff consisted mostly of kids my age who didn't know much more about glue than I did. A few years ago, an editorial authored by White House officials in the Annals of Internal Medicine blithely predicted that small primary care practices would eventually be absorbed by "vertically integrated organizations" as a result of health reforms. The editorial prompted the American Academy of Family Physicians to send the White House a letter defending the ability of solo and small group practices to provide high-quality primary care. Despite the migration of recent family medicine residency graduates into employed positions, researchers from the Robert Graham Center estimated in the August 15th issue of American Family Physician that up to 45% of active primary care physicians in 2010 practiced at sites with five or fewer physicians. The limited resources of small practices seem to put them at a disadvantage relative to integrated health systems and newly formed Accountable Care Organizations. Small practices have less capital to invest in acquiring and implementing technology such as patient portals, and fewer resources (dollars and personnel) to devote to quality improvement activities, such as reducing preventable hospital admission rates. Nonetheless, like the small hardware store of my youth, some small practices are not only surviving, but thriving in the new health care environment. Dr. Alex Krist and colleagues recently reported in the Annals of Family Medicine that eight small primary care practices in northern Virginia used proactive implementation strategies to achieve patient use rates of an interactive preventive health record similar to those of large integrated systems such as Kaiser Permanente and Group Health Cooperative. An analysis of Medicare data published in Health Affairs found that among primary care practices with 19 or fewer physicians, a smaller practice size was associated with a lower rate of potentially preventable hospital admissions. In addition to providing superior service, solo physicians or small groups can create their own economies of scale by pooling resources and collaborating with other practices in areas such electronic health record systems and quality improvement. For example, Dr. Jennifer Brull reported how her practice and four others in north-central Kansas succeeded in improving hypertension control rates in an article and video in the September/October issue of Family Practice Management. These examples illustrate that the demise of the small primary care practice has been greatly exaggerated. Whether small practices can continue to flourish in the post-Affordable Care Act era remains an open question, but I do know this: the small hardware store in my home town is still thriving, more than twenty years later. A year ago, I was fortunate enough to attend the first Preventing Overdiagnosis conference in Dartmouth, New Hampshire. This annual worldwide gathering of researchers, clinicians, and laypersons aims to explore the increasing problem of overdiagnosis in modern medicine and propose strategies to restrict the identification and treatment of disease to those persons who stand to benefit, rather than others in whom unnecessary diagnosis will only lead to harm. Prostate cancer is the "poster child" for overdiagnosis, a condition that I've compared in the past to an epidemic of snipers on rooftops where aggressive efforts to "disarm the sniper" often result in devastating consequences for men who would have otherwise died with, rather than of, the condition. The second Preventing Overdiagnosis conference in Oxford, UK began today and continues through Wednesday, September 17th. Although I didn't make it this year, I plan to follow the scientific sessions on Twitter (hashtag #PODC2014) and encourage readers to do so as well. Speaking of overdiagnosis, my colleagues at Public Citizen have recently taken aim at direct-to-consumer cardiovascular screenings offered at 20 hospitals and medical institutions in conjunction with HealthFair, a for-profit company that provides echocardiography, electrocardiography, abdominal ultrasonography, carotid ultrasonography to all comers. As Public Citizen's experts pointed out in letters to the Federal Trade Commission, the Joint Commission, and involved hospitals and institutions, no credible medical organization supports indiscriminately providing these tests to asymptomatic patients, since they are likely to cause more harm than good by producing false positive results or leading to interventions for conditions that would not otherwise produce clinical symptoms (in other words, overdiagnosis). In fact, the U.S. Preventive Services Task Force and several primary care and cardiology groups involved in the American Board of Internal Medicine Foundation's Choosing Wisely campaign recommend against performing many of these tests. Kudos to the organizers and participants in this year's Preventing Overdiagnosis conference, and to Drs. Michael Carome and Sidney Wolfe at Public Citizen, for their commendable efforts to protect patients from the harms of overtesting, overdiagnosis, and overtreatment. Why are doctors still prescribing bed rest in pregnancy? Maternity care providers have traditionally prescribed "bed rest," or activity restriction, for a host of pregnancy complications (including preterm contractions, short cervix, multiple gestation, and preeclampsia) despite evidence that it does not improve maternal or neonatal outcomes. On the other hand, prolonged activity restriction in pregnancy increases risk for muscle atrophy, bone loss, thromboembolic events, and gestational diabetes. Although it did not include this practice in its Choosing Wisely "Five Things Physicians and Patients Should Question" list, the Society of Maternal and Fetal Medicine (SMFM) recently published a strongly worded position paper recommending against activity restriction in pregnancy for any reason. This isn't the first time reviewers have examined the evidence for activity restriction and found it lacking; a 2013 summary of several Cochrane reviews of therapeutic bed rest in pregnancy also found such poor data to support the practice that the authors concluded its use should be considered unethical outside of the context of a randomized controlled trial. The message isn't getting through to physicians or patients, though. A 2009 survey of SMFM members found that 71 percent would recommend bed rest to patients with arrested preterm labor, and 87 percent would advise bed rest for patients with preterm premature rupture of membranes at 26 weeks gestation, even though most of them did not believe it would make make any difference in the outcome (the most common answers were "minimal benefit" and "minimal risk"). Unfortunately, the risk may be more than minimal. Not only does activity restriction expose pregnant women to harm, a secondary analysis of a randomized trial of preterm birth prevention found that nulliparous women with short cervices whose activity was restricted were actually more likely to deliver before 37 weeks' gestation than those who were not. Bed rest has been a way of treating pregnancy complications for more than a hundred years. But there's a problem. While bed rest is a common treatment, there's no proof that it helps. It doesn't seem to protect your health or your baby's. In fact, bed rest has risks itself. Doctors still prescribe it, but more because of tradition than good evidence that it works. The handout went on to advise patients to question their physicians closely or get a second opinion if bed rest is recommended. That's sensible advice. Doctors who are reluctant to abandon this useless and potentially harmful maternity practice should consult the SMFM paper or the American Family Physician By Topic collections on Prenatal Care and Labor, Delivery, and Postpartum Issues, where no articles recommend activity restriction for pregnancy complications. Few scientists have been fortunate enough to make a single discovery that ultimately revolutionized the practice of medicine. So one might expect Dr. Richard Ablin, who identified prostate-specific antigen (PSA) more than forty years ago, to take satisfaction in the way his accomplishment has transformed the field of urology and the way clinicians detect and treat prostate cancer in the twenty-first century. A study published last week in JAMA Internal Medicine found that even though three major guidelines – from the U.S. Preventive Services Task Force (USPSTF), the American College of Physicians, and the American Urological Association – raise serious concerns about the PSA test's effectiveness and adverse effects, nearly one-half of all men between the ages of 65 and 74 reported being screened with the PSA test within the previous 12 months. 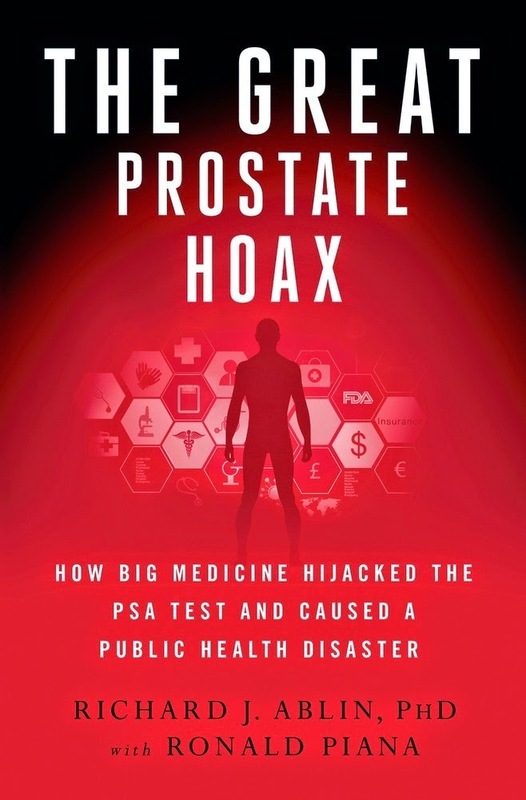 But after reading Dr. Ablin's 2010 New York Times editorial, "The Great Prostate Mistake," and his revelatory followup book, The Great Prostate Hoax, I think he probably feels that the world would have been better off if PSA had remained undiscovered – or, at least, if his discovery had not been so shamelessly exploited by the medical-industrial complex to cause erectile dysfunction and urinary incontinence in a generation of terrified men who had surgery for screen-detected prostate cancers that otherwise would not have bothered them at all. Kenneth Lin, a central researcher on the PSA review panel, resigned in protest. How many men might have been spared an unnecessary life-changing radical prostatectomy during that delay? ... LeFevre’s admission speaks to the culture of fear promulgated by the prostate cancer industry. And in this case the industry won. Between 2009 and 2012, it obtained a three-year window of opportunity during which more than 3 million more men had painful needle biopsies and about 300,000 of those men needlessly had their prostate glands cut out of their bodies. It wasn't just the "prostate cancer industry" that was supplying fear and pressure. After being thrown under the bus by the Obama administration when the furor over downgrading its recommendation on breast cancer screening for women in their 40s threatened to derail the Affordable Care Act, USPSTF members weren't convinced that they could count on the Department of Health and Human Services to protect them from prostate cancer fallout less than a year later. They were right to worry. In October 2010, my boss at the Agency for Healthcare Research and Quality received explicit instructions from the White House to call off the Task Force's November meeting (where prostate cancer screening would be reconsidered). With no good options, Dr. Ned Calonge, the outgoing Chair, decided to cancel the meeting himself, allowing the USPSTF to save face and not be pigeonholed as a partisan panel that only produced scientific statements supportive of the administration's goals (which, to my jaded eye, boiled down to extolling the benefits of "free" screenings and downplaying or shelving inconvenient evidence of harm). Today, Dr. Ablin is hardly alone in calling for an end to PSA screening for prostate cancer. Dr. Vinay Prasad, who has written widely about medical reversals, recently chimed in with "It Is Time To Stop Screening for Prostate Cancer," where he observed that "the history of the PSA test will one day serve as a reminder that, although all of us in health care want to do everything possible to reduce the mortality of cancer, the early adoption of screening techniques on the basis of insufficient evidence can lead to more harm than good." I could not agree more. PSA screening is a tragedy born from physicians' good intentions. It was a bad idea when it began in the evidence-free world of the early 1990s, and it continues to do far more harm than good to older men today. As previewed in a previous blog post, the August 15th issue of American Family Physician features a concise summary of the American College of Cardiology / American Heart Association updated cholesterol treatment guideline. Key points include an expansion of the role of statins in the primary prevention of atherosclerotic cardiovascular disease (ASCVD); elimination of specific low-density lipoprotein cholesterol (LDL-C) target levels; and a new tool for assessing of 10-year and lifetime risk for ASCVD. An accompanying POEM notes that full implementation of the new guideline would increase the number of U.S. adults eligible to take statins by nearly 13 million, with the percentage of adults 60 to 75 years of age for whom statins are recommended rising from 47.8% to 77.3%. My biggest criticism of the new guideline is that it does not acknowledge a specific gray zone—a range in which the potential benefits and harms of a statin make the “right decision” predominantly a matter of individual patient circumstances and preferences. It may be reasonable to set 7.5% as a starting point for discussion (e.g., for every 33 patients treated for 10 years, roughly one heart attack will be prevented [i.e., number needed to treat = 33]). But these risks and benefits are estimates with a nontrivial margin of error. The guideline does note that shared decision making should be used, but it provides no clear direction on when statins should be recommended rather than just discussed. Doctors are unlikely to start giving patients clear numerical information simply because they are told to do so. They might do so if NICE can recommend information tools with the same force as when it recommends drugs, and if it becomes as easy to give contextual numerical advice as it is to print a prescription. ... We will need better data, from bigger trials, and better risk communication than for conventional medical treatment. ... Without such innovation in the use of medical data, we can say only that statins are—broadly speaking—likely to do more good than harm. That is not good enough. If you are a clinician reading this, have you already integrated the ACC/AHA or NICE cholesterol guideline into your practice? If so, how do you decide whether to "recommend" versus "discuss" statins with patients? If not, what reservations or workflow issues have stopped you from transitioning to the new guidelines?